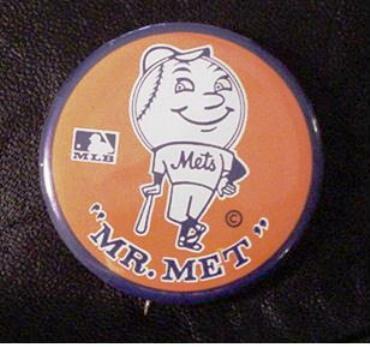 I called in every resource I knew throughout the United States to track down Shea Stadium-appropriate ’69 memorabilia, including this Mr. Met pin. I think my new name should be Prop Girl. I could be like an antique/memorabilia superhero in Movie Land. Recently, my team and I wrapped up working on the new “Men in Black III” movie starring Will Smith. There is always that little thrill that overtakes me when we get the call from a prop master to begin work on a movie. Prop Girl to the rescue! Maybe it’s the thought of being part of the creative process, and being able to have your items showcased for people to view. 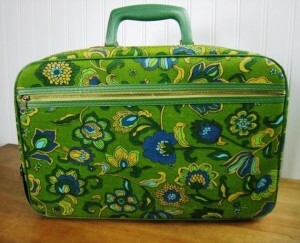 Most antique and memorabilia collectors are obsessed with their inventory, and I am no different. I become almost like Gollum from “The Lord of the Rings.” I must have my precious items loved and shown to the world! Supplying antique and vintage props for a movie is an extremely strenuous job. You have to be exact about the years you are portraying, and you have to ensure that the quality that is received is superlative and will translate well on screen (See: Running Guns for a Mobster: Providing Prop Pistols for Hollywood’s ‘Public Enemies’). It’s a whole process that can take weeks to form into something tangible you can produce for the prop master just for review, not even purchase! 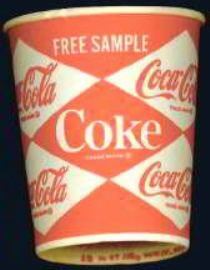 A vintage Coke stadium cup. 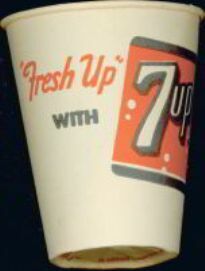 A vintage 7-Up stadium cup. The third installment of the Men in Black franchise was filmed right here in New York at the old Kaufman Studios in Astoria, Queens. There were many days when you could have seem my team and I lugging boxes of props to the set, and because time was of the essence and shooting could not be delayed, it was often on the run. We brought in radios (had to be a certain brand), hats (like a really cool Styrofoam Hat for the Orioles), cups, visors, hotdog holders, you name it we brought them in for a ballpark scene representing the 1969 World Series, in which the Amazin’ Mets defeated the Baltimore Orioles. The movie also needed coolers for a beach scene, so I wasn’t above sneaking into my friend’s houses and sneaking their old coolers out the back door before they even realized it. 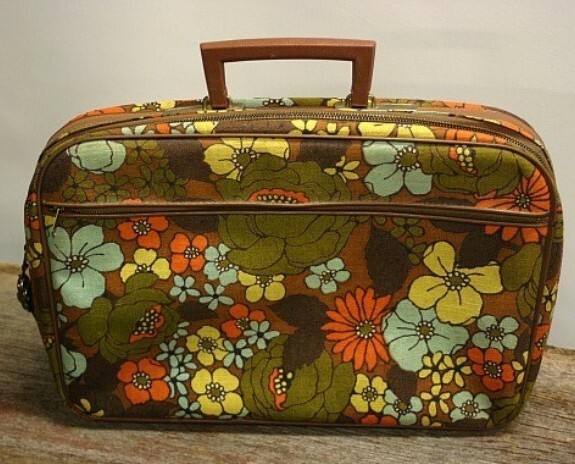 My husband almost past out when he found out his 1960s red cooler (almost like his blankie) had now been sold to MIB and was going to be used by an alien. Our biggest challenge—possibly the toughest prop hunt in the entire history of our company—was having to find authentic 1969 New York Mets memorabilia and at bargain basement prices. Not being a sports collector nor very rarely dealing with this type of collectible, this became a challenge of great proportions. 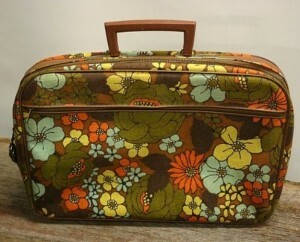 I called in every resource I knew throughout the United States to track down Shea Stadium appropriate ’69 memorabilia. From pins, to banners to hats, you name it, we had to find it. Remember, we also needed to stay within the studio’s (balanced) budget—overruns were not allowed in the prop department—which, in buying rare memorabilia, is not so easy to do. We did it, but it was crazy. 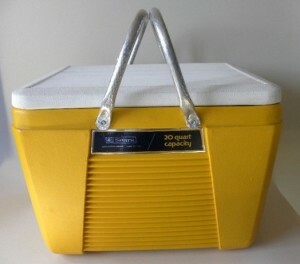 A late-’60s beach cooler, made by Sears. 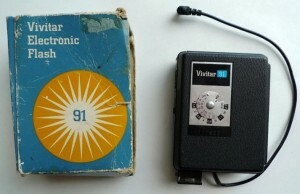 A Vivitar Flash for an SLR camera. Sometimes, a scene is written in a movie and even after you find the prop (which, when it is something quite rare or coveted by collectors, can often take days to find), the director shelves the scene. You don’t get to charge the studio for the time spent locating the prop; it’s just time spent that you have lost. This is something that you have to accept when working in this type of business. Sadly, this was the case for one set of props we diligently spent days looking for: several Nathan Hot Dog Vending Boxes from 1969. We found them (there is nothing I can’t find once I put my resources to work), but later on it was decided not use the prop as the scene was written out of the movie. It’s always a letdown when these type of things happen because you are so proud of having accomplished finding the inventory, but it’s part of the job! Other challenges we faced were finding items “not too blue” for the MIB 3 scenes. Hollywood is a very precise, well-oiled machine, and the people who work on movies, such as set designers, know exactly what they are looking for and why. Thus, when finding—for example—beach towels and chairs for a scene, we had to make sure that we didn’t submit anything too blue that would wash out the scenery. All in a day’s work, but at times quite a challenge when blue is such a prevalent color. A late 1960s-era ladies’ bag. We are now onto working on a TV series, something we have never done before. I am finding out that TV is a totally different vibe, as everything happens so much faster than movies in the prop world. Wish us luck, and we will be coming at you soon with another article about our prop endeavors with the TV show we are working on! GoAntiques seller Laura Trueman runs Truetiques, Inc. and RVT’s Primitives.